The harsh reality of building an elite pro team is the ever present specter of drugs. Unfortunately shortly after the interview (below) was conducted, Roberto Heras tested positive for EPO during the final stages of the 2005 Vuelta. Roberto was released from the team and there were serious concerns that the team might fold. As we enter the 2006 season we are pleased to see that Liberty Seguros has maintained their commitment to the sport. In fact at the time of writing this Luis Leon Sanchez is strongly defending his Jacobs Creek Tour Down Under crown with a very strong team. Fielding a ProTour team is big business, but most of us have little idea of how many things take place long before a rider even pulls on a jersey. In this revealing and interesting interview, we talked to two men who brought Liberty Seguros into the world of pro cycling, and learn what cycling has done for their business. Boston, Massachusetts, often called the Crucible of Liberty, is famous for its central role in the revolution against the British in the 1700's. Today one can follow the freedom trail through the city and learn of central characters like Paul Revere and the events that led to the Declaration of Independence. However, few associate Boston as a city intimately associated with elite professional cycle racing and the Pro Tour. In this exclusive interview we learn of the direct link between Liberty Seguros and Boston . 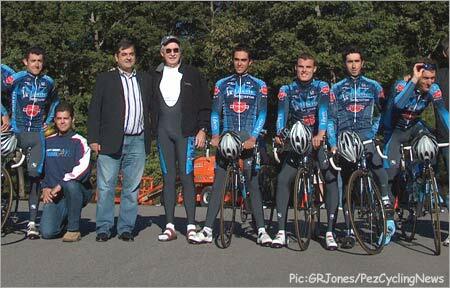 At the beginning of October, 2005 Manolo Saiz brought Roberto Heras and a few of his Liberty Seguros teammates to Boston to, as Saiz put it: “to pay homage to Tom and Liberty Mutual”. We were privileged to speak with Liberty's Tom Ramey and his colleague Steve Sullivan, and after the interview it was clear that not only Manolo and the team, but the whole of cycling should pay homage to Tom, Steve, Liberty and those other key personalities behind the scenes that help make our sport a reality. Tom Ramey is the President of Liberty International. Liberty Mutual is one of the largest insurance companies in the world with worldwide revenues of approximately $20 billion in 2004. Liberty Mutual's international businesses are managed by Liberty International (which includes Liberty Seguros) and has a revenue base of approximately $4 billion based on 2004 results. Liberty Mutual and Liberty International have their worldwide corporate headquarters in Boston. Steve Sullivan is the Senior VP Communications for the Liberty Mutual Group, North America with additional responsibility for company branding worldwide. Graham Jones: Tom, I understand that you were the prime mover in initiating the Liberty Seguros sponsorship. Tom Ramey: Correct. As an avid cyclist and cycle racing fan I was reading a cycling magazine in 2003 and learned that ONCE was withdrawing its sponsorship from the fabled Spanish team. Coincidentally at that time we had just acquired three companies in Spain , each progressively larger than the others. These merged companies were then renamed Liberty Seguros (“Seguros” means “insurance”) and a major initial challenge focused on developing a branding strategy. My first step was to ask Steve to find out who we could speak with in the ONCE team about sponsorship. Not knowing how it would work, it was just the germ of an idea that if the team was ‘portable' then this would be a good way to jump start our branding effort. So long story short, we went from reading the magazine article, to finding the appropriate contacts and flying to Spain all within the space of three weeks. Our overnight flight had us arrive in Spain in the morning. We drove to the hotel, showered, put on suits and headed to a law office for our meeting where we met Manolo Saiz (DS of the ONCE team) and his colleague Pablo Anton (President of the ONCE team) for the first time. 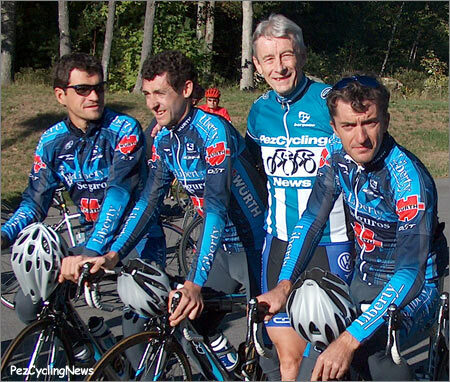 We learned that Manolo and Pablo had worked together for many years and between them had created one of the most successful cycling teams ever. Five hours after entering the meeting we signed a deal! The interesting thing was that there was a lot of publicity in Spain about the concern that the team would leave Spain . Apparently Manolo and Pablo were in an advanced state of negotiations with interests from Italy , Belgium and Holland . So with our rapid decision making process our agreement to build the Liberty Seguros team created three unexpected consequences. Firstly the Spanish press described Liberty Mutual “like a white knight” (their words) that kept the Spanish (now former ONCE) team in Spain . This vote of approval then created the second consequence which was all kinds of good will with the Spanish public for our company. The third thing was that we were able to retain a lot of the key riders and also to bring Roberto over from USPS. We knew that all of this was going to help with our branding effort. Never in my life did I anticipate that it would have the kind of impact that we have experienced. Understanding that Liberty Seguros operates in Spain , Portugal , all over Europe, Latin America and Australia we saw dramatic growth in brand awareness. In 18 months the Liberty Seguros brand name grew from less than 1% recognition to over 55% recognition in our target markets. I cannot even begin to tell you the value of that in terms of business return. The first year I will never forget. I was sitting in a hotel in Caracas , Venezuela , visiting one of our companies, and CNN International was on the television reporting one of the European bike races (long before the Tour de France) and there was our team. That was when I first had a hint how spectacular this sponsorship was going to be. Graham: Tom, I congratulate you on the nimbleness of your whole decision and deal making process. Such speed is not normally associated with large multi-national corporations. Tom Ramey: Understand that I was in a position to do this and to make the decisions. This is the part that makes it interesting. When we first went to Spain to meet with Manolo and Pablo I took Steve, my general council (lawyers) and a gentleman that runs a sports agency. What happened was that when we sat down at the table we discovered that nobody on the other side spoke English. Having very little time to strike the deal we decided to conduct the meeting in Spanish. I translated the discussion for my lawyer and he advised me at almost every juncture not to do it. And at almost every juncture I did not take his advice! One fact that compounded the legal team's concern was Manolo's reputation of being a very controversial coach. At one point Manolo and I stepped outside of the meeting room and our private conversation soon revealed that both parties had the same interests and wanted to go in the same direction. This realization quickly established the tone of the meeting even though my lawyers wanted to control the deal. With time ticking away we only had a few hours, so either we were going to do this deal or we were not. In the end it was a judgment call and sometimes you have just got to go with your gut feel. This was one of those times that it worked. We agreed on a five year deal. Graham: How do you rate cycling as a promotion vehicle compared to other sports? Tom Ramey: There is no other sport that I am aware of, except Formula I, where you can be the principal sponsor and have your name prominently visible in every single event. Breaks, crashes, the whole bunch, team vehicles, etc. The name is everywhere and that is what is so phenomenal about it. Graham: How do you measure name exposure and business results related to sponsorship? Steve Sullivan: We use tracking studies that measure exposure and compare the results to our competitors. We know that during the Vuelta 23% of the Spanish people were watching the race on TV while basically our team and Roberto were dominating the event. Now you can add to that worldwide media coverage including radio, print and the internet. For example the Vuelta was the lead article in the New York Herald Tribune sports pages and then the day after the Vuelta finished it was the lead article in Spain 's leading newspaper El Pais. The ultimate measure is the bottom line. In our Spanish speaking markets we have led the industry for three years in a row on bottom line results. We rank #9 as a company in Spain which is a not insignificant at $900million. In Spain and Latin America we have organic growth of around 17%. This is a significant result because it means that we are taking market share from our competitors. Our Liberty Seguros sponsorship can be directly correlated to a percent of these great results. Our man Graham Jones provides the filling for a Liberty-Pez sandwich. Graham: Is there resistance within Liberty Mutual or Liberty Seguros towards this sponsorship program? Steve Sullivan: The guys in Spain have totally embraced the whole program. It is such a no brainer to them and it has created instant market credibility and popularity. In the US whenever Liberty Seguros wins a major race or we announce participation in cycling charity events or races like the upcoming US National Cyclo Cross Championships, Tom and I experience a huge influx of emails from Liberty Mutual employees sending us congratulations and saying how pleased they are to see us doing all of this with the sport. Tom Ramey: Due to the speed of the negotiations that resulted in our deal, our senior management team in Spain was not really aware of what we were working on. Some of this was because ONCE was so visible that I did not want anyone to know what we were doing. During lunch at our first meeting with Manolo and his team I called our CEO of Liberty Seguros in Spain . My enthusiastic ‘I have something to tell you' was greeted with an immediate reaction of concern. This was not in the business plan and like all good business people he was worried about costs, etc. To alleviate these concerns I stated that the costs would be carried by Liberty International in Boston and spread throughout the international operation. After two full years our 1500 Liberty Seguros employees in Spain are fanatics about the program. Overall I cannot think of one downside to this program. Graham: Beyond the Liberty Seguros team what other cycling related activities is Liberty Mutual working on. Steve Sullivan: Obviously cycling is nowhere near as developed or popular in the USA as in Europe . We have been investigating the feasibility of partnering with cycling considering the limited US audience. Our target market is the very large business we have in personal home and auto insurance. As one test we took the opportunity to sponsor the US National Cyclo Cross Championships this coming December in Providence , RI . This event is very spectator friendly and we will use it as an opportunity to put our feet in the water, do some market research, and find out who comes to the event and their opinion of the event and its sponsors. Graham: Now that Lance Armstrong has retired, OLN has reduced it's cycling coverage, specifically of the Giro and Vuelta. They were doing a great job promoting the sport and naturally provided a platform that enabled the US public to see Pro Tour races and teams like Liberty Seguros in action. What is your opinion on this situation? Steve Sullivan: The challenge is viewership. Without Lance the numbers reduced significantly. They claimed that when they screened the Vuelta last year their viewership numbers were just a fraction of their Tour de France numbers. Graham: Knowing something of the media readership numbers, especially the internet, I am not so sure about those numbers. Tom Ramey: I think that's true. The problem is that most people think cycling races are long events, on open roads, up mountains and out in the distant countryside and when the race passes by you it is gone in the blink of an eye. What the media (especially TV channels like OLN) needs to get a better handle on is approaching it like NFL films. I don't just mean showing crashes, but show the participatory side. The carnival atmosphere, technology, the accessibility of the riders, absence of egos and the participatory nature of the sport. Graham: The Pro Tour; what is your opinion on the current struggle between the UCI (Pro Tour) and the Grand Tour organizers? Tom: This is a very political question but I think that what is good for cycling is something that is harmonious and that ultimately benefits the riders. If the riders benefit, the Grand Tours will benefit. If the Grand Tours are too short sighted to not see that then I think that they are working against the sport. Graham: Do you think that power and money is really the central issue to this struggle? Tom Ramey: Yes, but ultimately power and money should correlate with where you ultimately want to go. I believe that the sport does not benefit unless the riders consider themselves to be major beneficiaries within the framework of the entire structure. If power and money only accrues to a few it hurts the sport and does not work well for anyone. Graham: Another difficult subject concerns drugs. The Armstrong case is one of several high profile cases continually in the news. The UCI/WADA/l'Equipe squabble must surely be of great concern to teams and riders with respect to ethical behavior and the handling of their samples. Tom Ramey: Another very political question and one that Manolo is better equipped to answer. For ourselves I have great confidence in Manolo, I know our protocols and I know Manolo's historic role relative to doping. He is Mr. Anti-Doping. That sums up my response on drugs. Graham: With perhaps the exception of Armstrong, cyclists are not paid at the levels of athletes in other sports like baseball, football, soccer or basketball. Should this change? 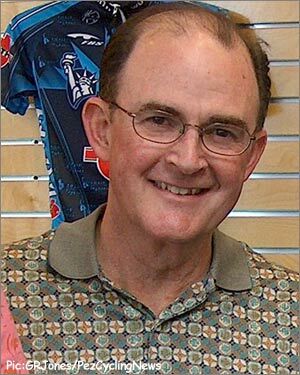 Tom Ramey: I want elite cyclists to be paid well. We are very active supporters of the Pro Tour and any improvements that can be introduced to the sport. These are superb, extraordinary athletes and they deserve the compensation to go with that. Graham: What advice would you give to potential sponsors? 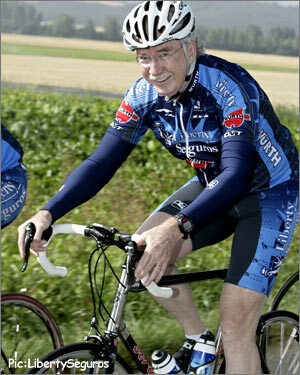 Steve Sullivan: Cycling is an immature spectator sport in this country ( USA ). As with companies like Bank of America and Wachovia, we are still trying to find our way. Everybody senses that there is potential but nobody knows quite how to tap into it. Do you sponsor a rider, own a big race, what is the answer? Anyone with professional marketing experience will know that to go from low single digits to greater than 50% brand awareness within a very short space of time is normally no more than an exotic dream. I am not aware of many businesses that have experienced that. Tom Ramey: I agree with Steve, I would not offer advice. For our international customer centric insurance business it is hard to imagine where you would get a bigger bang for your marketing buck other than cycling. For us it is a proven fact. I am indebted to Tom Ramey and Steve Sullivan for the time that they spent with me. Their enthusiastic ‘can do' attitude bodes well for the Liberty Seguros team and cycling in general. I am also very grateful to Fabio Selvig, Liberty Seguros, Director of Team Sponsorships for arranging our meeting. This article originally appeared on www.pezcyclingnews.com and we are indebted to the publisher for giving us permission to reprint it on CyclingRevealed.